This is a flat internally threaded surface bar without any ends - you can choose your own dermal ends to fit - the bar will accept 1.6mm internally threaded attachments with a 1.2mm thread. The upstand is available in either 2mm or 2.5mm and the internal barbell length can be selected from 10, 12, 14, 16, 18, 20, 22, 25, 28mm. 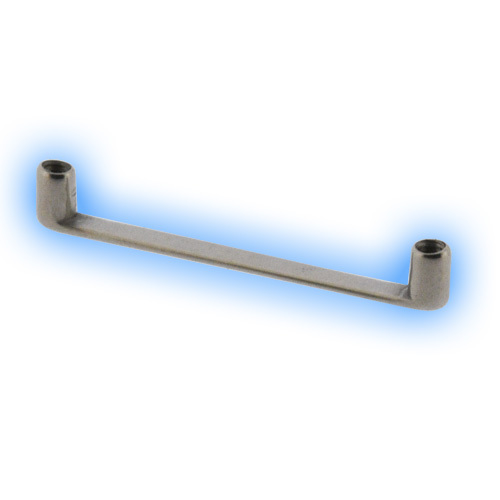 The bar can be supplied highly polished or anodised in any of the Titanium colour options that we offer. Advantages: Prevented me from losing my piercing.